It is much easier to take pictures when the sun is up but when it rains, we would run for cover because we do not want to get wet. 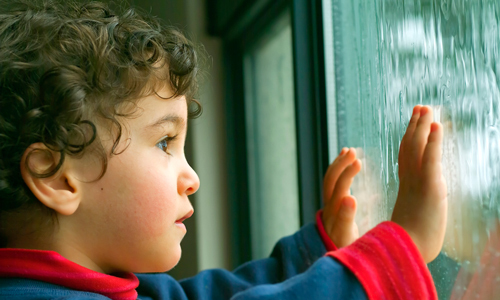 But we are certain that you can see how beautiful the rain is even when you are indoors. 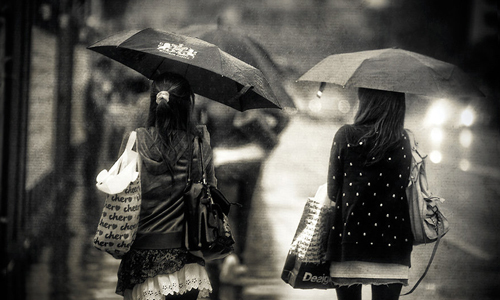 There are people who feel happy when it rains while there are others who feel sad. Some feel inspired and would write, draw, design and do other things that they love. But aside from the changing mood of people as affected by the cold rain, it can also help maintain the balance in nature. 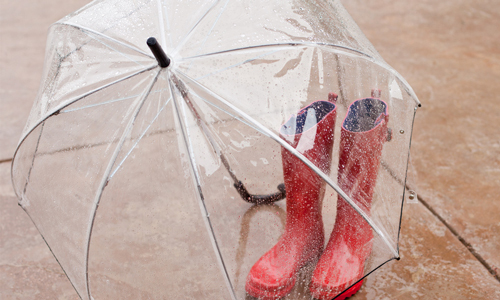 You can also do other things when it rains aside from staying indoors, facing your computer or watching TV. 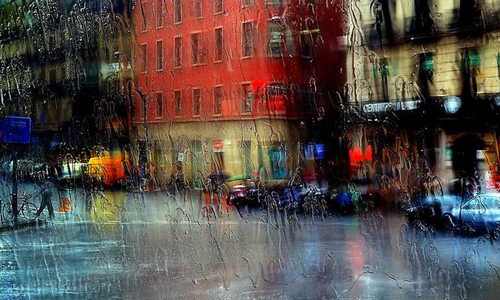 Why don’t you grab your camera and explore the beauty that the rain pours to us? There are different things that you need to look into before you go out. So before starting with rain photography, why don’t you check the tips below and get some inspiration from photographs taken in the rain. 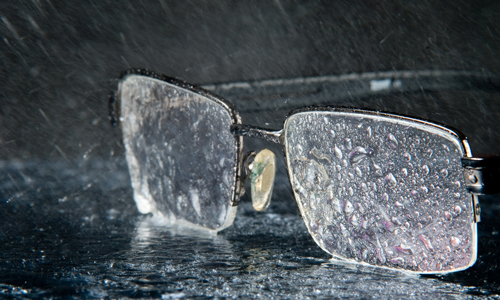 It is important that you protect your camera and your lens from the rain. That is why you need to buy rain covers for your gear. There are different rain covers that you can get. Choose those that are not too bulky and easy to bring along with you everywhere you go. Also, protect yourself by wearing a raincoat and boots, too. You can also take an umbrella but that would be uncomfortable when you take the shot because you would need two hands to do it. It is still safer to get rain covers for you and your gear as well. You can also try taking shot from indoors. Glass with dripping rain can also look good and appear more dramatic. But you can also go indoors and take pictures of the outdoor scene. This way, you won’t get wet and you won’t need to use rain covers. However, you still need to wipe your camera dry after exposure to the humid surroundings. 3. Shoot from your car. 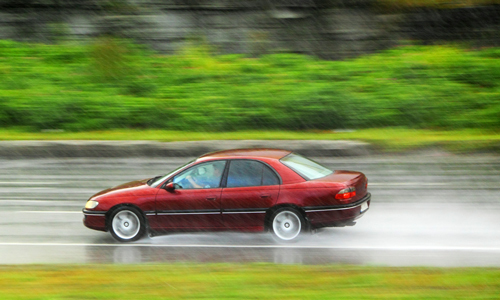 Your car is also an ideal place to take a picture of the rain. There are many people who do this since you will be able to navigate more areas while inside the car. Look for spots that are interesting for you and park there. You can then take pictures of whatever subjects you have seen that would look good in your picture. You would find it hard to take pictures of the reflections if there is a downpour. But you can wait for a while when the rain starts to stop. You will be able to see some reflections in the streets which look lovely. Even mere puddles can have amazingly lovely reflections on it. 5. Get a shot of the surroundings. Using flash will light up the raindrops. So, you have to adjust it like -3.0 stops in order to get good results of the rain. You can also try shooting without flash for this can minimize its effect on the rain (if the rain is just light and not a downpour). 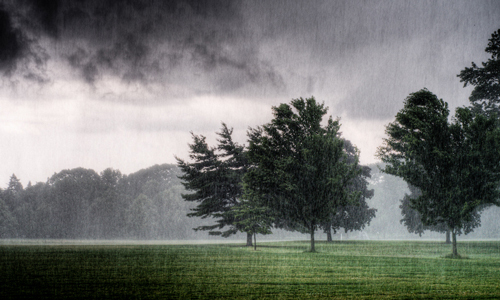 The rain will merely be seen on the background if you use natural light instead of using flash. But you have to experiment with your flash so you can get the perfect shot you need. 6. Shoot people in the rain. 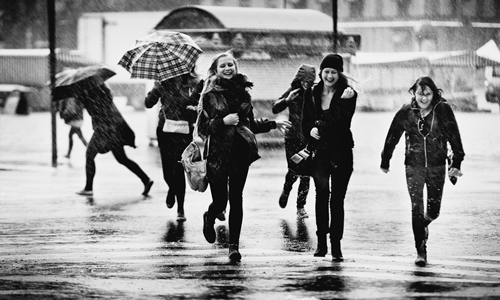 People look good in the rain especially that the rain creates different reactions and emotions. They will look interesting with or without the umbrella. 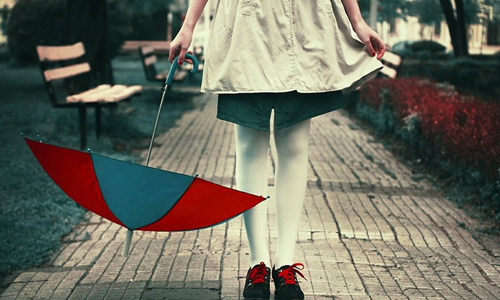 But the umbrella is also a good prop when taking photos in the rain. You can look for people who show interesting reactions and actions. 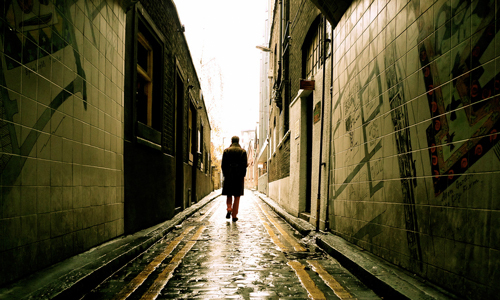 People running away from the rain can be good. Kids taking a bath in the rain are also good. But there could be more dramatic scenes that you can get too. 7. Look for interesting subjects. 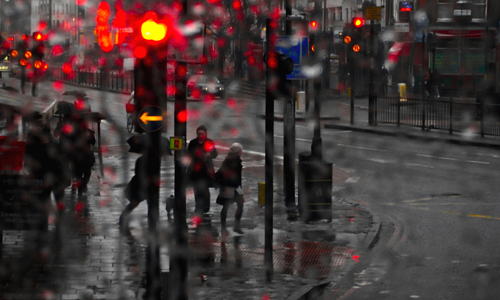 When it is raining, there are so many things that you can take pictures of aside from people. The environment can be a good subject. 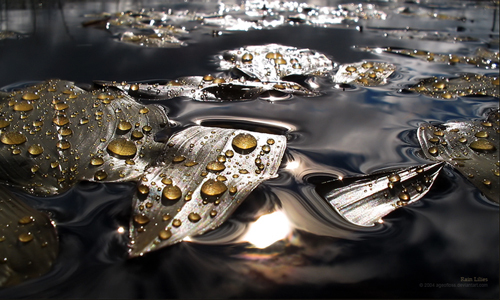 Even leaves floating on rain water or the reflection of tall buildings on the water. Animals can also be good subjects. You can also experiment with objects like paper boats and others. The more creative your subjects are, the more interesting it will be. 8. Take a picture after the rain. When the rain stops, you are given another opportunity to take pictures. 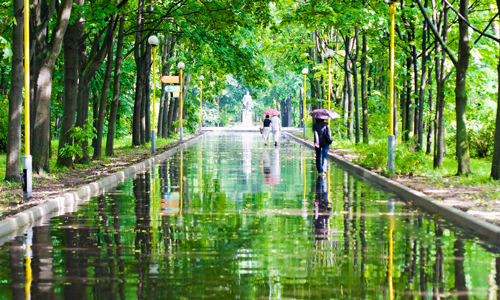 Like what we have mentioned, reflections can look good even after the rain. You can also look for subjects with traces of rain like a leaf with raindrops on it. Raindrops create interesting patterns on an object and on plants. Take a picture of it. They look unique and lovely especially when found in nature. Dripping raindrops from water pipes and tress can also be good subjects. 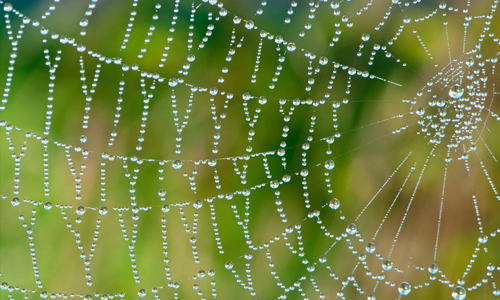 Get closer to your subject by doing macro shots. This way, you will not only get the details of the subject but you will also get a closer shot of the raindrops. 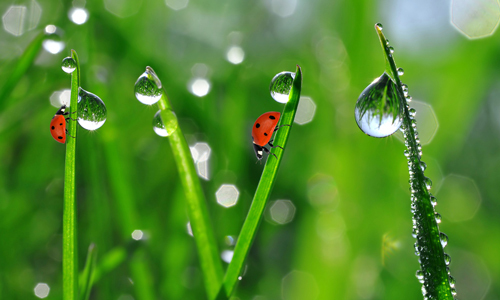 Macro photos taken after the rain look amazingly beautiful and so full of life. Find an angle that can give emphasis to the raindrops and the reflections. 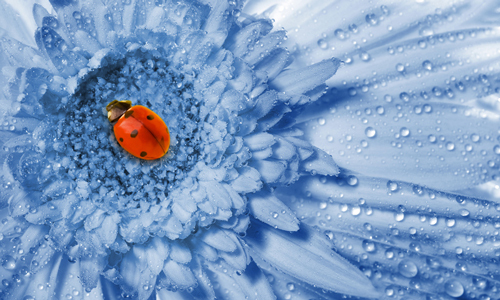 Read more about this at 10 Relevant Tips for an Effective Macro Photography. 11. Look for light sources. Of course, you would need light in taking pictures. You can get light from street lights if you take pictures at night. On day time, you can use natural light. But you have to make sure that you will not use too much light for it will expose the raindrops and the resulting image may not be that good. Experiment with your source of light, too. People in the rain look more dramatic. It seems that their emotions are being brought to a higher feel because of the effect of the rain. Laughing people look totally happy. Even lovers kissing under the rain creates a romantic scene. Sad people also look sadder. 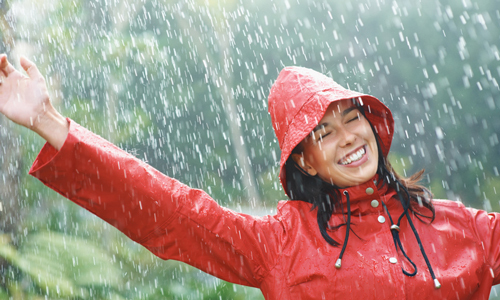 Look for people in the rain with different emotions and you will come up with amazing outputs. 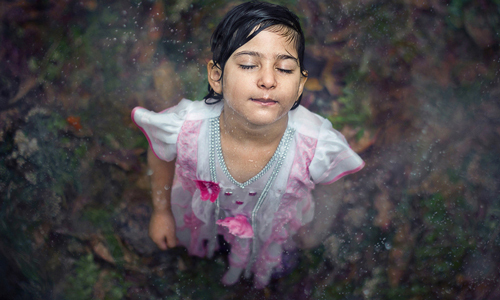 This little kid surely had fun in the rain but her face shows not just joy but deep appreciation of nature. With the waters in it, this aisle could tell so many stories. In spite of the absence of color, this shot is amazingly beautiful. 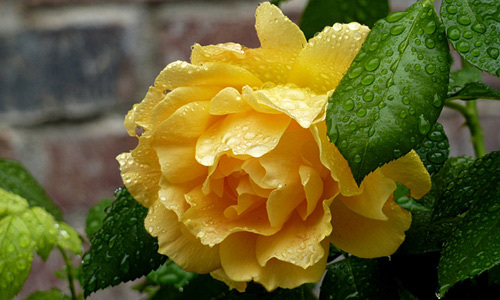 After the rain, this yellow rose looked even more dashing with the raindrops on it. Isn’t this set up cute? The composition of this photograph is full of drama. A female’s beauty is enhanced even without showing her face through the water drops around here. 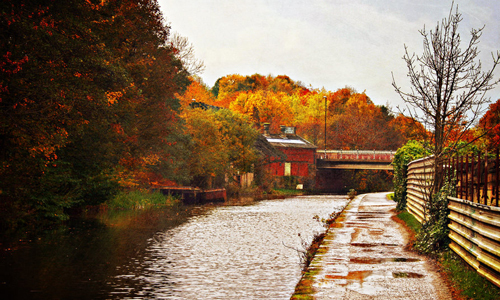 This image shows that even a wild weather can look lovely. 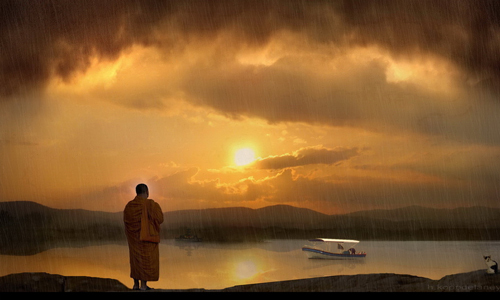 The rain and the sunset combined creates a wonderful scenario with a contemplating Buddhist. 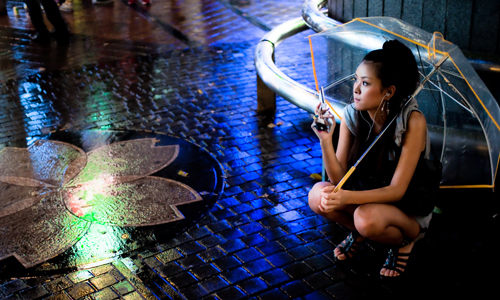 Stay hot and gorgeous even if you get wet in the rain like this lady who posed who seems to be waiting for someone. The waters in the street have reflections from the trees which is like creating a mural on the road. 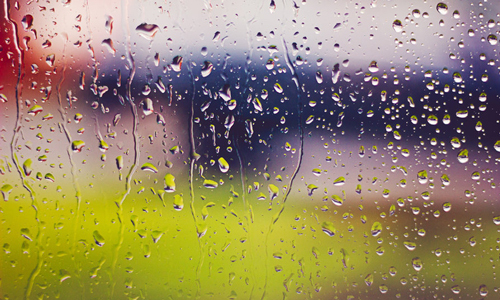 Taken from indoors, this is still a beautiful shot of colors and raindrops. 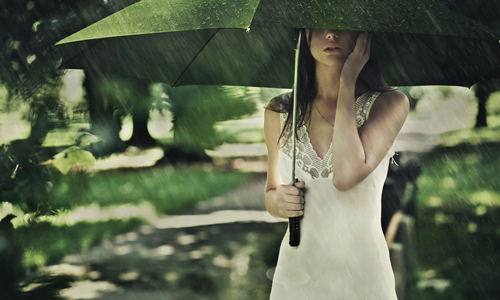 Rain is also associated with romance same as what you can see in this shot of romantic expression. Running from the rain is so much fun even if it means you’ll all get wet! A canvas for a city scene filled with colors. The city’s details are still seen despite the blurry effect from the water. Experiment with your focus like this one and you will get photos with more impact. The blurry look of this photo due to the raindrops made it look stunning plus the addition of the red lights from the street light. Silhouettes dancing with the downpour. What a great way to shoo all the day’s stresses. Looking classic while telling so many stories from this angle. Check out the raindrops on these lilies. They create a pattern that can never be duplicated. 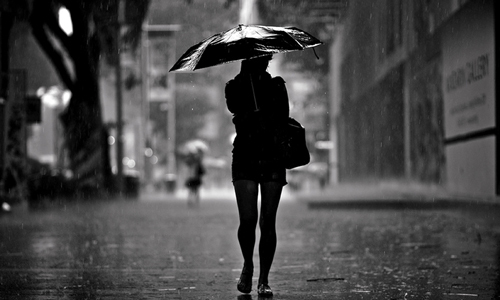 Even in black and white, you will surely know that at this moment, it is raining. 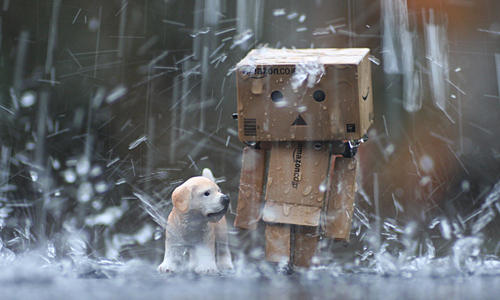 For sure, you fell in love with the images showing various subjects in the rain. So if you had been yearning to go out and take pictures while it’s raining, you can do it now but be sure to protect your camera. And also, if you intend to change lens, do that away from the rain or else it will be damaged. We hope that these tips above as well as the photography inspiration we have given you will inspire you to try rain photography. Have you tried taking pictures of the rain? What were the things you take note of when doing it? Nice article,you give justice for rain. Sunny day is not good always, there is also a bad effect like dryness,so we need rain for a good cycle. Thank you for the good tips about taking picture in the middle of rainy days. Looking for reflections while shooting in the rain is a great idea because they produce interesting images. 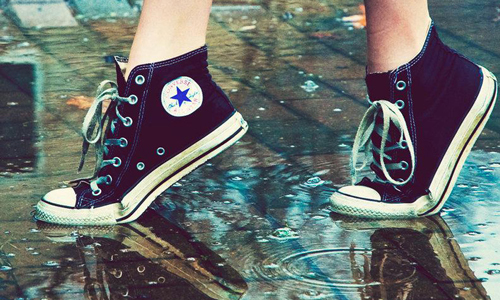 It’s so cute dancing in the rain and for lovers it makes a sense of being romantic. 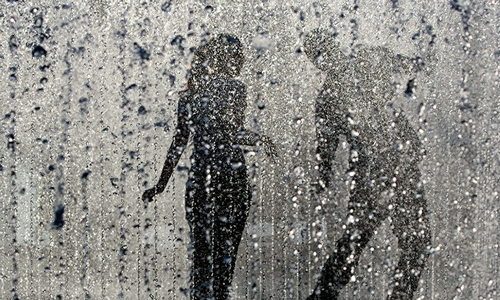 Rain can be useful also in making a drama scene,how nice!